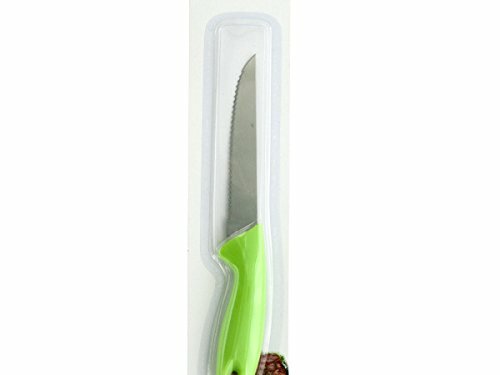 Great for effortlessly slicing meats, this Steak Knife features a sharp serrated blade and a comfortable plastic handle in bright colors. Handle has a hanging hole for easy storage. Measures approximately 8.25" long. Comes in assorted colors. Dishwasher safe. Comes packaged in a blister pack. Approximate Package Weight: 8.64 lbs.